This is a big week for new arrivals at JOE! 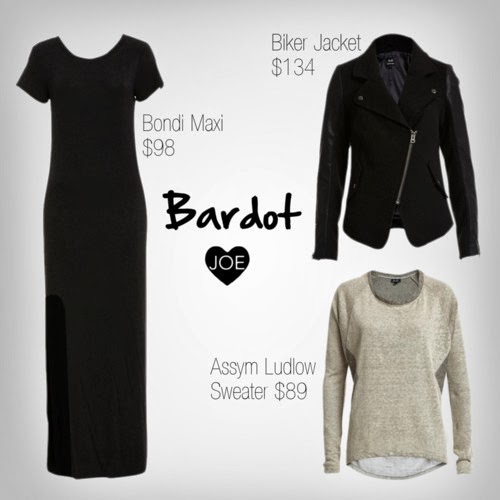 Check out some of our new styles from Bardot, Michael Lauren, and Blaque Label below. The Bondi is the perfect fall/winter maxi dress, with a round cut slit to showcase your favorite boots or heels. It looks positively killer with our Biker Jacket, which has faux leather-paneled sleeves for a gorgeous texture contrast. The Assym Ludlow sweater has a high-low hemline and colorblocked sides, which makes it an easy way to add a touch of style to a casual outfit. You simply can't go wrong with handmade basics from Michael Lauren. These three styles are incredibly soft, flattering, and wearable in any season. The Derby pants are particularly beloved by celebrities, including Jennifer Aniston, Kate Hudson, and Katy Perry, to name a few. Simple, sophisticated, and beautifully made. What more could you ask for? 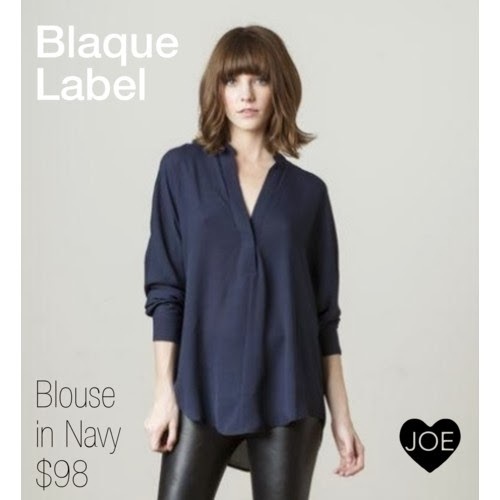 We love this Blaque Label blouse dressed up with a wool skirt, or dressed down with some cool paneled leggings.